The American Health Council recognized Domenick Sorresso, MD as “America’s Best Doctor” for his outstanding contributions to the medical field. 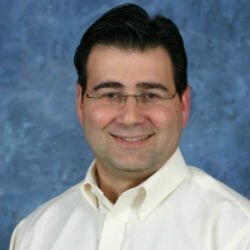 A pulmonologist at his practice, C&D Pulmonaryin Hudson, Fla., Dr. Sorresso performs general community pulmonology and teaches two hours each day. Since entering the healthcare industry 22 years ago, Dr. Sorresso has garnered comprehensive skills and knowledge in pulmonary and critical care to deliver high-quality care to each patient he treats. Determined to pursue a career in the medical field, Dr. Sorresso enrolled at Ross University School of Medicine. After earning a medical degree in 1989, he completed a residency at the Advocate Christ Medical Center. He later completed a fellowship at the East Tennessee State University and Chicago Medical School at Rosalind Franklin University, and received board certification from the American Board of Internal Medicine in sleep medicine, pulmonary disease, critical care medicine and internal medicine. In 2013, Dr. Sorresso completed a CMS Meaningful Stage 1 Certification. Throughout his career, he published several abstracts, including “Sialoadenitis: a rare but well-recognized complication of iodinated glycerol” (Sorresso, D. J., Mehta, J. B.; Ann Otol Rhinol Laryngol. 1995 Feb.) and “Underutilization of isoniazid chemoprophylaxis in tuberculosis contacts 50 years of age and older. A prospective analysis” (Sorresso, D. J., Mehta, J. B., Harvill, L. M., Bentley, S.; Chest. 1995 Sep.). In 2012, he founded C&D Pulmonary, where he sources his medical acumen to determine the best medical approach to treat each patient. He believes that treating each patient as a unique individual by tailoring treatment yields to optimal patient care results. C&D Pulmonary offers a variety of services, including complete pulmonary function tests, continuous positive airway pressure management (CPAP), six-minute walk and electronic health records. To commemorate his skills, Dr. Sorresso was awarded the Resident of the Year Award and the First Humanitarian Award. He is an active member of the American College of Physicians and the American Academy of Sleep Medicine. Among his many accomplishments, he is proud of his continued success, which he credits to his patients and peers. He also attributes his success to his knowledge and ability to determine the requirements of his job in order to meet his patients’ standards. Dr. Sorresso plans to maintain his success by developing an educational program in the future. At C&D Pulmonary, its mission is to provide the highest quality medical care. The practice strives to make patients’ experience as comfortable as possible. Dr. Sorresso combines knowledge from all aspects of medicine in deciding what is best for each patient. Established in 2012, C&D Pulmonary is composed of a unique and special team of caring and dedicated professionals who are committed to providing the best medical care, pulmonary, critical care and sleep medicine needs of its patients.